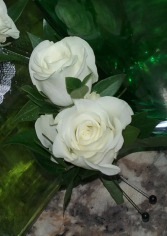 Made with a single large rose. Choose from a variety of colors. 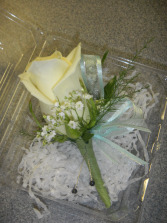 Ribbon loop adds extra touch to match corsage. 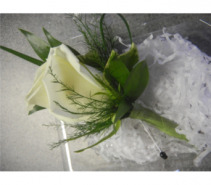 The classic single large rose! 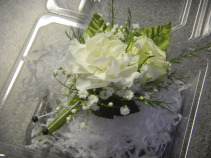 Add filler or just do classic and simple greenery. 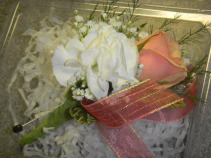 A spray roses and a mini-carnation combo to march the corsage! Spray rose and mini-carnation combo! 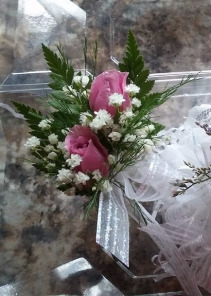 Add a ribbon loop to match the corsage! 2 sprays roses paired together. Add filler, or simply add greens. Simple, mini-carnation and a bud with greens. Mixed flowers: spray rose and alstroemeria. 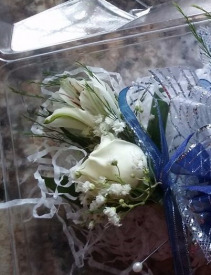 Ribbon loop to match corsage.